You can print this Favor box on colored paper or print on white paper and let your kids color in and decorate using markers, crayons, color pencils, stickers, glitter, or any thing else their heart desires. 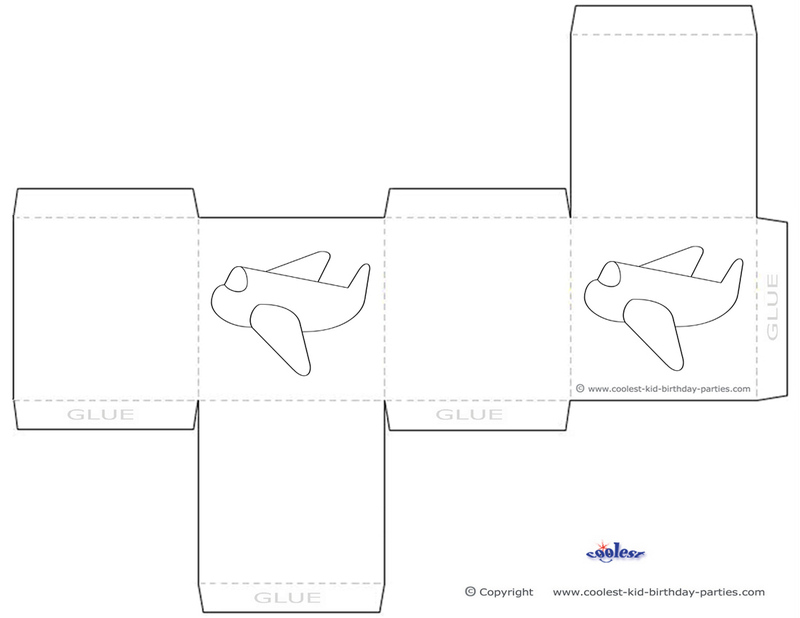 Before you start gluing, fold along the dotted lines and assemble so that all the sides connect. Only then add glue and secure the folded flaps. Creating this favor box could also be fun as a party activity – just print out as many as you wish and let the kids create and decorate them on their own at the party. If you want this favor box to be sturdier, just print on a heavier Bristol paper.